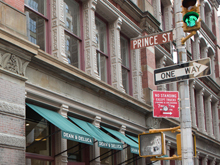 A posh appearance, upscale amenities, and an unmatched location in New York City’s shopping hub; it’s not a high-end fashion designer’s studio, it’s Stellar Management’s portfolio of SoHo residential and commercial real estate. We’ve captured the essence eclectic neighborhood and infused each rental with the artistic flair and trend-setting modernity that has come to define SoHo. Our process for selecting our next property is similar to that of the artists who helped gentrify the area; we identify existing buildings in need of renovation and add our own aesthetic touches during the revitalization. 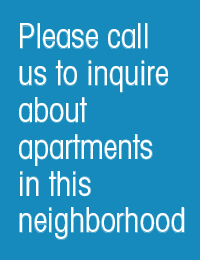 See the results in one of our available SoHo apartments below. 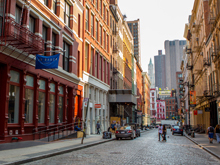 It only takes a short walk along the stone-paved blocks south of Houston Street to understand why SoHo is one of Manhattan’s most cherished neighborhoods. It’s an area of striking visual and cultural dichotomies with something to offer everyone. Upscale shopping and restaurants stand adjacent to artists’ lofts and street peddlers. 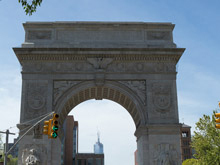 City residents covet SoHo apartments because of the combination of chic modernity and classic New York architecture and the opportunity to live in a unique, trend-setting environment. Had enough shopping and eating for the day? Check out any number of art galleries or Off-Broadway theater companies interspersed throughout the district. 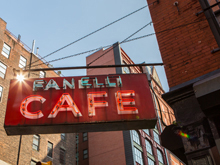 Expect jealous stares and expressions when friends visit your new place in SoHo. Subways running through the area include the 1/6/C/E/B/D/F/M/N/R.